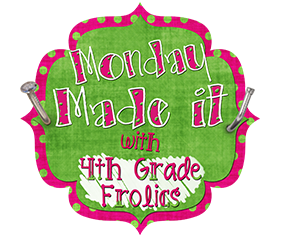 I'm linking up with Tara at 4th Grade Frolics again for Monday Made It! I saw these last week and HAD to make them! 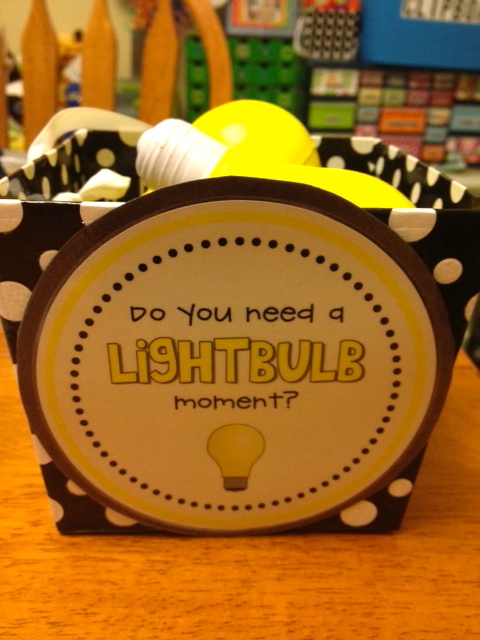 I got enough for a small group set and I plan to place them in my writing area to help my kiddos brainstorm for ideas. Too cute! This idea came from Mrs. Plum. See her original post here. 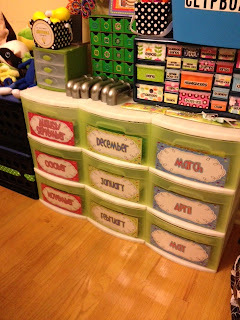 Here are my labeled drawers! I found these 3-drawer organizers on clearance at Target about 6 weeks ago. The adorable monthly labels are from Tammy! As you can see.....my things are starting to pile up! I need to get all of this out of my house and into my classroom! Yep. I made the lego soap. I saw this on Pinterest a few days ago and knew that I had to make it for the sink in my classroom. What kid would not want to wash his/her hands with this? It was a super quick and easy project that my 3 year old was thrilled to help out with. The hardest part was being patient enough to slowly rip the label off the soap without leaving the sticky residue! I love the bin you chose for them -- the polka dots are super cute! The Lego soap is on my list, too... all yellow bricks though -- gotta keep it Oz! I need to make the Lego soap for my son:) SO cute!! 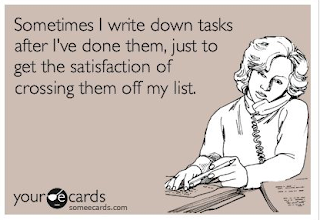 I do that to my lists too! Makes me feel accomplished. Your drawers are cute! I want to make mine look like that! I am notorious for adding things to lists for the pure satisfaction of crossing them off! Lego soap!? I must make some!! 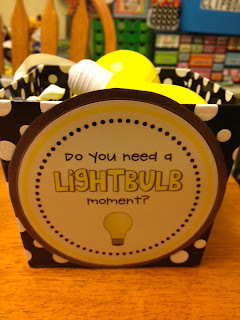 I really want to make the lightbulb bin, too! I love your crate seats - especially the ribbon accent! Great ideas! I LOVE the lego soap. Got to make it for my class. Thanks for sharing.